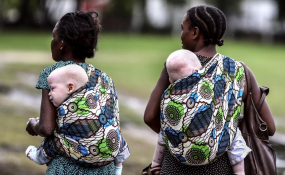 A new wave of attacks on people with albinism is raging in Malawi due to prevailing superstitious beliefs and systemic failures in criminal justice system, a human rights body has said. Amnesty International in a statement issued on Tuesday said the systemic failures in criminal justice system is leaving members of people with albinism vulnerable at the mercy of criminal gangs. "When the wheels of justice turn so painfully slowly, as they do in Malawi, and historic cases of attacks on people with albinism remain unresolved, it creates a climate of impunity and emboldens suspected perpetrators," observes Deprose Muchena, Amnesty International's Director for Southern Africa. "Despite stronger legislation, including reforms to the Penal Code and the Anatomy Act, to tackle attacks against people with albinism, we are seeing an alarming resurgence of killings and attacks against this vulnerable group in 2017," said Muchena. In its June 2016 report, Amnesty International exposed how people with albinism were 'hunted and killed like animals' for their body parts. Their bones are believed to be sold to practitioners of traditional medicine in Malawi and Mozambique for use in charms and magical potions associated with wealth and good luck. "The only way to stop these killings is by ensuring that existing laws are applied effectively and that there is efficient prosecution and coordination across the authorities," Muchena explained. The latest abduction took place on 28 May, when a nine-year-old boy, Mayeso Isaac, was taken by a gang of 10 men. The incident took place in neighbouring Mozambique where he had travelled at the invitation of relatives to visit. On 10 January 2017, 19-year-old Madalitso Pensulo was killed after he was invited for afternoon tea at his friend's house in Mlonda village in Thyolo District. A passer-by heard him scream, but he died before the police arrived at the scene. "The only way to stop these killings is by ensuring that existing laws are applied effectively and that there is efficient prosecution and coordination across the authorities," said Muchena. He added: "This rise in flagrant attacks against people with albinism shows that confidence is growing among criminal gangs that they will not get caught." "This rise in flagrant attacks against people with albinism shows that confidence is growing among criminal gangs that they will not get caught. They are taking advantage of Malawi's failing criminal justice system. The authorities must take decisive measures to end these attacks once and for all." At least 20 people with albinism have been killed in Malawi since November 2014. According to Malawi Police Service, at least 117cases involving crimes related to people with albinism have been reported since November 2014. Read the original article on CSJNews. Copyright © 2017 Centre for Solutions Journalism. All rights reserved. Distributed by AllAfrica Global Media (allAfrica.com). To contact the copyright holder directly for corrections — or for permission to republish or make other authorized use of this material, click here.